Orange County remains under curfew until 6 p.m. tonight. Safety hazards include more than 50 percent of traffic signals out in the county, as well as debris on the roadways and downed power lines. When the curfew lifts at 6 p.m., it will be essential that everyone follows the four-way stop procedure at traffic intersections without a working signal. Power remains out of service to 372,000 Orange County residents and damage crews are continuing to survey. There are six million people without power in the state of Florida. Please be patient with power companies as they work to restore power in a safe and effective manner. Also, when you report an outage with your power company, please only call once. Orange County Utilities’ post-storm assessment has confirmed that all regional water treatment facilities and the County’s drinking water system are operational and safe with no system-wide precautionary boil water advisories in place. Orange County Utilities has received reports of one water main break and multiple individual service line breaks that may be affecting customers in isolated areas and are working to address these impacts. If customers have an outage or experience decreased water pressure, call 407-836-2777. Customers will be notified if a break or service outage requires any action on their part including precautionary boil water advisories. Other post-storm water and utility-related tips can be found at www.ocfl.net/emergencyutilities. Public Works officials are currently meeting and preparing a schedule for debris removal. If you live in one of Orange County’s municipalities, check their websites to learn about their debris pick up and locations. On Tuesday, Orange County will announce more details about debris removal. Orange County monitors and maintains nearly 600 traffic signals. Drivers are reminded they are required to stop in all four directions upon approaching any traffic signals that are out. 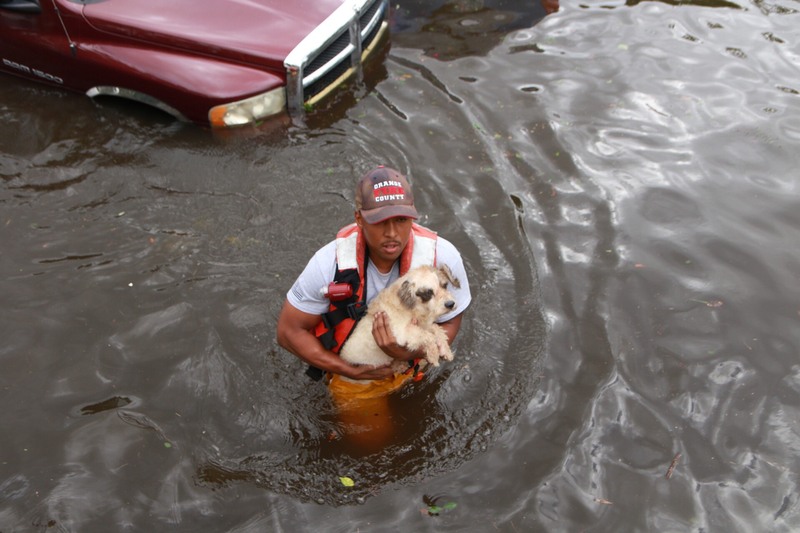 Photo caption: First responders, as well as national guardsmen, rescued more than 130 individuals as well as animals last night from the Orlo Vista community – and they continued their efforts this morning.